Want to go organic, but tired of the same old “green” color scheme? Check out the funky Rock ‘N Roll Crib Bedding by Lambs and Ivy! Just right for your modern nursery, this bedding set knows that being green is a way of life, not a color restricition! Score a big hit for your little rocker’s nursery with bold blues and browns in this trendy collection featuring musical notes and instruments. The Rock ‘N Roll nursery bedding collection is available as a four piece set, including crib sheet, crib skirt, crib bumpers, and quilt. The Rock ‘N Roll quilt is a patchwork print depicting a drum kit, guitar, and keyboard surrounded by musical notes, with a crib bumper to match. Throw in the record-style pillow and star-studded guitar mobile for a truly rockin’ nursery bedding set! Let your baby reach for the stars with coordinating nursery hamper, window valance, lamp, diaper stacker, and storage box. The custom upholstered kids rocking chair and drum roll rug will create an inspiring play area where dreams of rock stardom are created! Just as being eco-conscious is a common trend among today’s celebrities and rock stars, keep your emerging star grounded with the fact that this nursery bedding collection is 100% organic, and made with earth friendly dyes. Start him off with a solid beginning to an earth-friendly lifestyle. 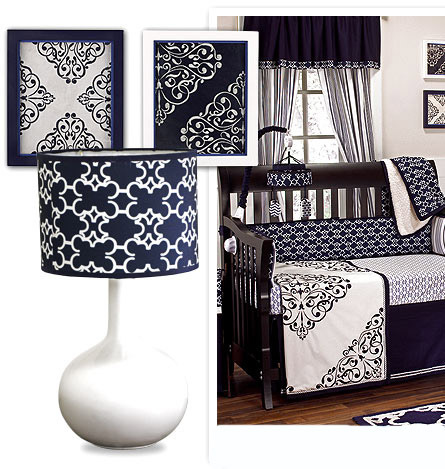 Rock ‘N Roll Nursery Bedding is just one of many crib bedding sets from Lambs and Ivy! 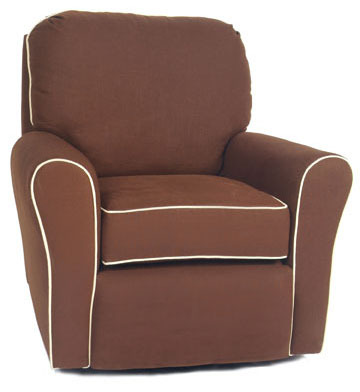 Royal Bambino also carries several other Organic Nursery Bedding collections from other leading manufacturers.